I like the new Gladiator and plan to sell my TJ and order mine after they’ve been out about 6 mos. would like to see GR8Tops do a bed cover that would make the Gladiator look similar to a D110. Love your products, keep up the gr8 work. Are you going to build a 2 door kit for the JLU? What will you do about the rear doors? The aluminum body will make it tough to weld in a filler panel. That said, I think this is a great location for a storage compartment. Half rear doors could mean a paintless modification. I’ve never been attracted to trucks. I’ve never owned one and no one in my immediate or extended family including my wife’s family has ever owned a truck. But, this gladiator definitely got me excited. Haven’t told my wife yet and not sure what she’ll think, but I plan on selling our family SUV (2017 Audi Q7) and grabbing a 2020 Gladiator Overland or Rubicon model. 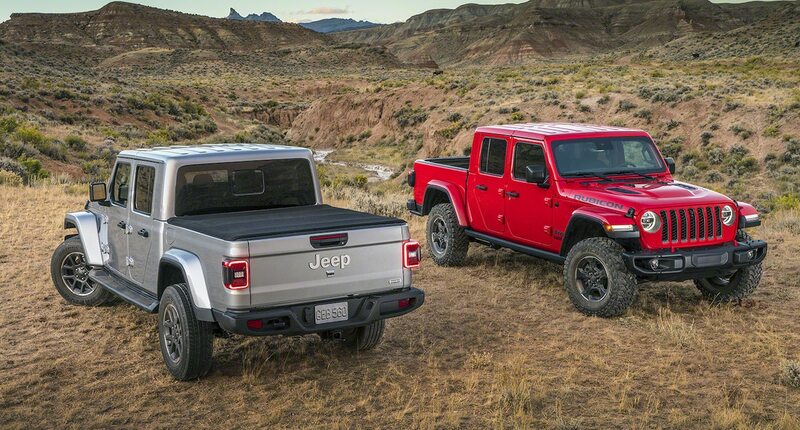 With that being said, I became aware of your company while searching for a truck ‘cap’ and since you asked in this post what products we look forward to, I found this rendered image that fits my needs/wants: (https://www.jeepgladiatorforum.com/forum/attachments/gladwithrack-jpg.6956/). The only gripe I have is that the artist failed to match the window tint. Seriously looking forward to someone make this type of conversion available.